Arliss went to Vet yesterday for shots and I asked Dr Burton to look at lumps on his flanks. They have been growing and I’m worried if they get any bigger will they interfere with his leg movement. Dr Burton agreed with my concern (they can attach themselves to the muscle which could cause a problem). So sometime this summer he will have surgery. They all seem to be fatty tumor but one he is a little worried about. Each flank has at least 2 that I see and feel, one is large, but it is above the flank area plus he has a small one on the rib cage. I was wondering also if it was diet or environment that was the cause. Annabelle (my Terrier) had one in just about the same place as Arliss’s large one. She just had the one and we where keeping an eye on it. It was larger then Arliss’s. With her coat you didn’t see it and her hair was still growing on it. Arliss has lost his hair on his. They do say that the Weim’s are prone to them. Again is it just because they are easier to see on the Weimaraner? Arliss could not take his eyes off that bird, during the Humane Society walk. Breeder’s Note: Fatty tumors, for the most part, are not life-threatening; however, there are exceptions. Lumps and bumps should be checked. Cliff and I do not see many of these, but our Weims do not get a lot of treats. They are a modern vaccine protocol–we vaccinate for protection, and that does not require every year. We stick with the same food for everyone, and possibly these measures contribute to fewer of these non-cancerous tumors. Deli is 13.5 years old, and she has had a single growth removed a couple of years ago. There is nothing significant view-able to the eye. Benign tumors usually require no treatment; regardless, they may need removed for various reasons. Failure to do so (in some instances) can lead to the loss of life. Sometimes benign tumors will attach (unseen) to a vital organ, and in turn take a life. The vast majority of people who have an older Weimaraner, report seeing a goodly number of these on their Weim. We read where another Weim recently had an issue with a couple of fatty tumors. It seems like a good topic. There is a lot that is unknown about the cause. 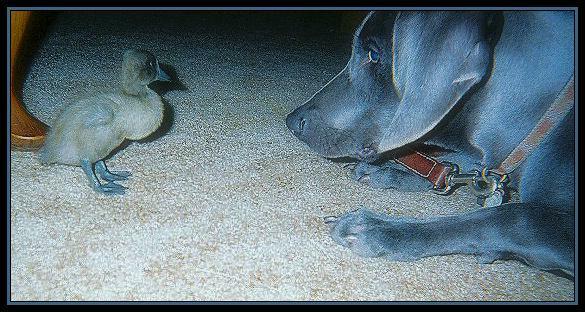 Posted on May 15, 2014, in Megan X Dusty, Previous Pup Update and tagged arliss, Bird dogs, Blue Male in Washington, Blue Male Weimar, Blue Runner Duck, Dr Burton, fatty tumors, Weim enthralled with birds. Bookmark the permalink. 4 Comments. Yes, I agree. Vets do not have a reason for the fatty tumor development. I do find it interesting that we are extremely careful with vaccine, and we don’t feed a lot of snacks–we have very few in comparison. Who knows? ?